Our data science department has access to data from thousands and thousands of large digital publishers. They often share some interesting insights with us around things like a particular ad placement, layout style, or publishing strategy. Below, is a case study on the floating anchor ads. Our data scientists learned that when anchor ads are broadly implemented — across an entire website on all the pages — that this typically results in much lower total session revenue and fewer pageviews; due to poorer UX metrics. Below, we dig deeper into the data on this particular ad placement. Anchor ads are the are those little floating horizontal ads that hover at the bottom of the page as you navigate a mobile or desktop website. What did we learn from studying bottom anchor ad placements? This specific study was done on the bottom anchor ad, shown above. There are a lot of different kinds of floating anchor ads, but the bottom one is similar on desktop and mobile. 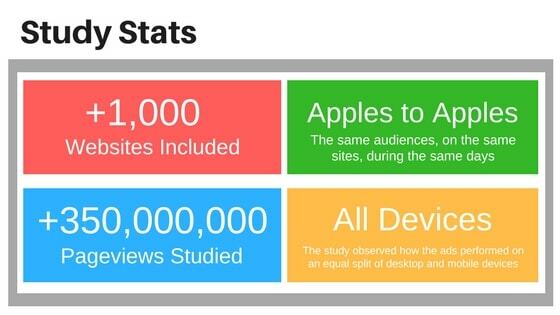 In the study, we were sure to look at the types of visitors during the same weeks to see how visitors and revenue were affected with, and without, the anchor ad placements. The startling result of the study was that — as a broadly applied static ad placement — floating bottom anchor ads seemed to do more harm than good for most publishers. As you can see in the graph above, EPMV (or earnings per thousand visitors – also referred to as session revenue) was about 30% lower when the anchor ad was present on a publishers website. 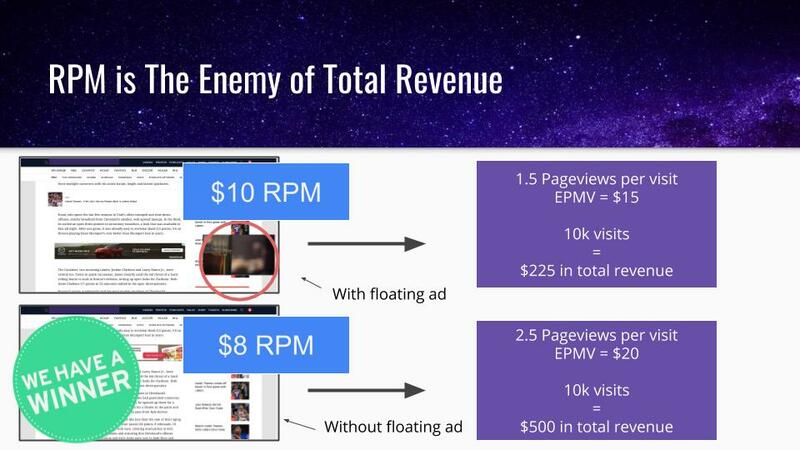 EPMV is actually the best metric for tracking total revenue in these cases — read more here — since it accounts for the total revenue of all the pageviews of a user session. 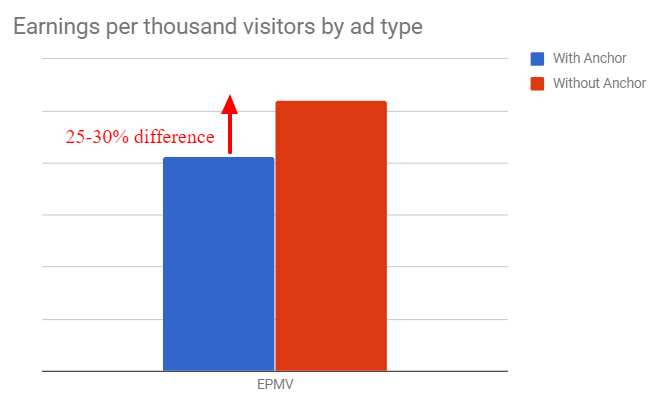 We see a correlation between lowered pageviews per visit and the lower EPMV among the visits that included the anchor ad. The anchor ad group was observed to have an 8% higher bounce rate as well; meaning that — on average — it likely provides a worse user experience for visitors. The effect on user experience has a powerful impact on revenue; as we talked about in detail here. 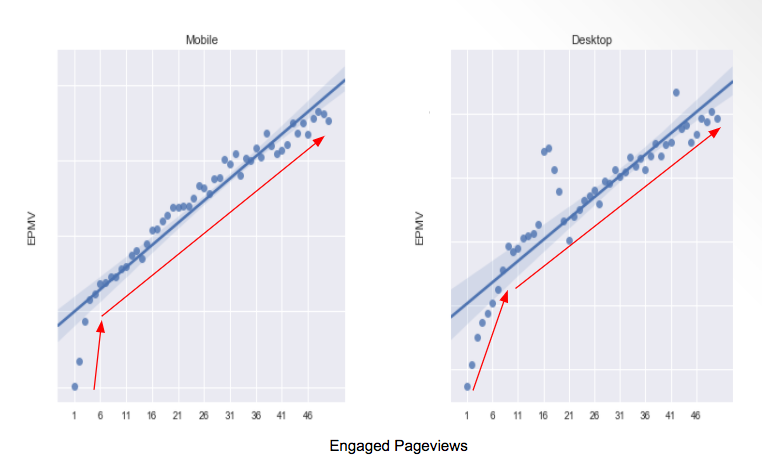 We’ve previously shown this correlation between engagement and ad revenue. Providing an experience to all users that shortens user sessions is likely to damage ad revenue in both the short and long-term. Why are many publishers missing this? It is actually really easy to miss and hard to identify unless you are consistently measuring session revenue. If you are a publisher that is only looking at RPMs and CPMs when optimizing ads, you would definitely miss this observation. As you can see in this simplified example above, the page with the higher RPM is earning less than half as much total revenue! Imagine, an $8 RPM vs. a $10 RPM, who wouldn’t take the $10 one, right? Unfortunately, if that RPM is propped up by an ad that is cannibalizing user experiences — like pageviews per visit —you could be sacrificing more than half the revenue you could have earned by simply excluding that ad. What’s more, ads affect other ads, and if ads are taking away from visitor attention, they are likely diluting the value of other ads as well. This is something we recently presented at Google. It’s why we believe many publishers claim to see lower and lower ad rates over time. Should I remove bottom anchor ad placements from my site? The answer is actually a bit more complex than you might think. In some cases, it probably makes sense to show anchor ads, but our study proves that broadly applying them across your site to all visitors on all pages will likely lead to less revenue and annoyed visitors. Anchor ads make sense sometimes because they are a highly viewable ad (it is always in the viewport). This is important to some advertisers. Additionally, their CTR (click-through-rate) is typically a bit higher as well. This means they likely produce better outcomes for advertisers and have a bit higher value than some other ads on your site. This means that if a visitor has a low likelihood of visiting other pages on your site anyway, showing them an anchor ad would be really smart. However, if you believe the visitor will visit more than one page, you would be sacrificing higher overall revenue — and the visitor’s experience — in favor of short-term page revenue. So should you take all the anchor ads off your site? If you are broadly applying them on all pages to all visitors, possibly yes. However, you would need to make sure that it was what is best for your total EPMV. The ideal solution would be to identify the highest bouncing visitor segment and only deliver the anchor ads to them. This would give you the page-level revenue benefits of the anchor ad without the consequences of its negative user experience impact. Anchor ads are not bad. They are a tool like all other ads and elements on your website. Just like any scenario, you want to apply the right tool to the right job. The data shows that anchor ads aren’t a great tool for broad use. Interested in automatically testing thousands of ad placements on your site to see how they affect user experiences? Ezoic will allow you to quickly access all of this data and deliver your visitor’s different ad treatments based on their behavior. Other questions about the study? Leave them below. I do not understand, or maybe I just do not know. Why Google provides new types of ads, since it needs to know from its own tests that they will lower the publishers’ earnings. Where is the logic? First, the ad is a tool. In the right situation, it can be used to increase monetization without affecting objective UX metrics. 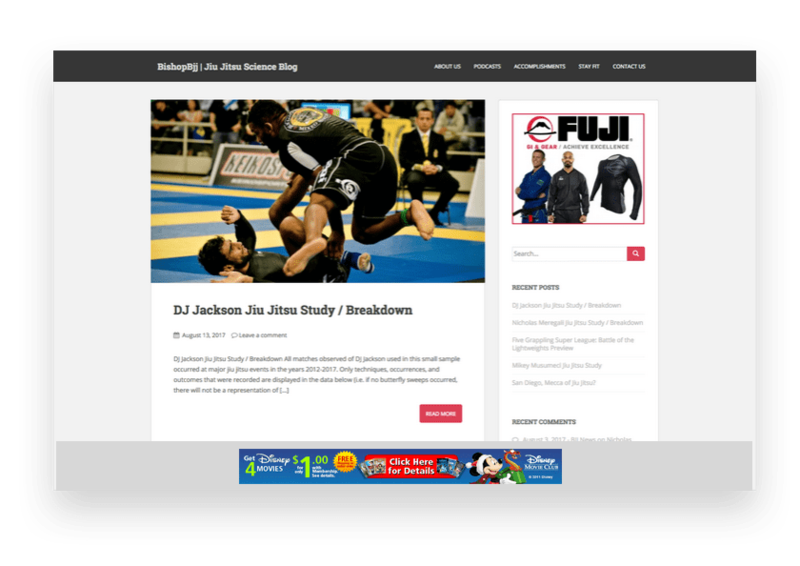 If a visitor comes to a website – and we know that visitor is only going to visit one page anyway – we may be able to get a great yield from showing an ad treatment with a bottom anchor ad. 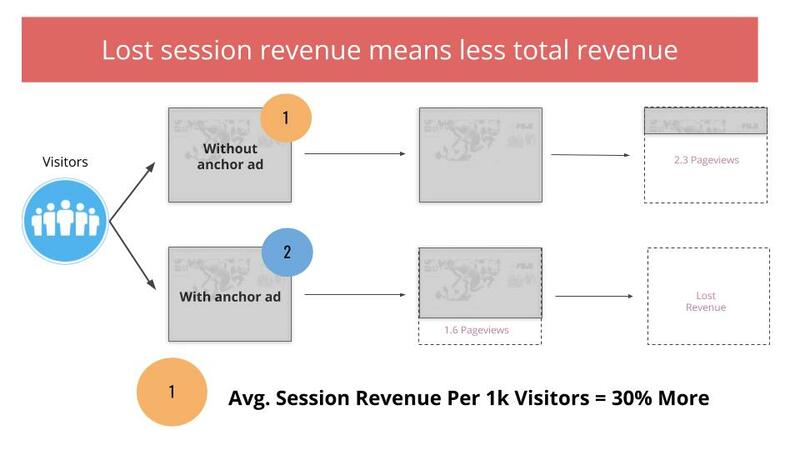 However, where things get a little complicated is when you start looking at how ads affect the total session revenue (i.e. overall revenue). This is something that Google and others aren’t accounting for and don’t have a large incentive to address; nor the business focus to address. That puts these equations in the hands of publishers – and their respective teams to handle. That’s why we built the Ezoic platform, honestly. Thank you for the explanation, Tyler. I would be happy to join the ezoic platform, but currently I do not meet the requirements. I’m working on achieving the right number of impressions. Your platform is amazing. Thank you Ezoic. I’ve experienced the same observation as the user, and as the publisher. Google Auto Ads (Anchors) is annoying. It also reduces the RPM in my Google Adsense. Ezoic approaches are much better. Recommend to any Publishers.